Fear is a powerful thing, and creatures that terrify, from the Nazgul of Lord of the Rings to Septimus Heap’s magogs and the Sidhe of The Call, are ubiquitous throughout fantasy literature. The characters who face these creatures don’t simply stroll onto the battlefield and take them down; they are afraid, and in overcoming their fears are able to defeat their monsters. In many series, magic is used to help characters face their fears without necessarily having to face down the actual thing causing the fear. Consider the boggart in Prisoner of Azkaban, for example: while it takes the shape of the things it senses that Lupin’s class fears, it doesn’t progress past that. A boggart-turned-dementor cannot Kiss away a soul, for example. While learning to face a fear does not always remove a character’s fear entirely, being able to recognize and acknowledge what they are afraid of can help them grow and develop as characters. Genre fiction is ideally placed to allow characters to do this because of the magic involved, and in doing so, it can offer us important guidance for dealing with our own fears. 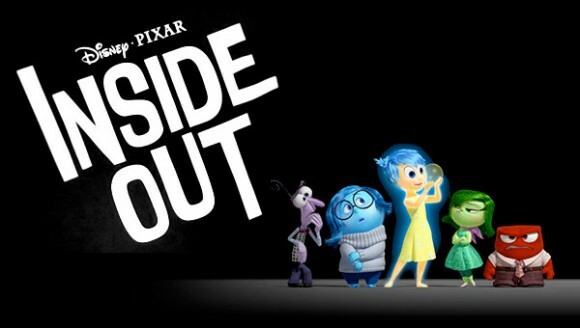 A new Pixar offering is always going to get me in a theater seat, and Inside Out was no exception. I saw it a few days ago, and while it was definitely a good movie, I don’t know that I’d call it a great one. Mild spoilers below the jump. So today’s fanfiction is for Rise of the Guardians, but it is a little different from the norm. It’s actually a fan comic series that I found on deviantART. It chronicles Pitch’s time during the Dark Ages, and it talks about the things he fears, relationship with children, and why the Guardians first fought him and removed him from power.